In honor of this month’s New Moon in the beautiful earth sign, Taurus, I begin with an awareness of Earth and body. Yielding into the Earth, I expand my perceptions. This is where I come from. She is my support. Listening and sensing with my body and soul, I realize my heart is heavy with the awareness of what we have done. Birds covered in black, heavy grime; turtles dying; unleashed floods of oil where no oil should flow; overwhelming greed and the complicity in that greed. Enough. We stand at a crossroads. The planets agree to stand for our choices. If ever you have felt that there is no use, change cannot happen or it won’t happen, now is the time to let go of that thought—because change must happen. We need a change in consciousness and it is happening. We can also be the midwives to this change, nurture it along, give it a nudge, be ready to catch it when it comes. Looking over the transits and transitions of this next month, I admit a bit of weariness overtook me. Last month I wrote about the life-force rodeo, how the ingress of Uranus and Jupiter into Aries is like sitting on the back of a bull. We are in for a ride. It is important to be mindful, to have the personal practices in place so that impulsivity does not take over, so that we can consciously move into a new way to be and think; because we know that anger and aggression lead us to the same old cycles of karmic debt and the sea creatures will suffer. Weariness, cynicism, and hopelessness are present and yet these attitudes do not need to be the only response or even the predominant response to our challenges. The good thing about Aries is that it helps us to believe we can begin again. We have an opportunity for a fresh start. What will help us make the shift? I’m beginning to think that the coming surge of life-force is a call to embrace Joy in a whole new way. The force of Joy will help us to shift into the new consciousness that is required of us if we are to live in balance and just relationship with all that is. I am challenging myself with the following questions and offer them to my readers to consider: What is Joy? What are the old ideas I have about Joy that keep me thinking in old, ego-bound ways? How could the force of Joy help me to create, in the here and now, a life that is full of beauty and balance and mindfulness? If I dedicate myself to forming a new understanding of Joy, what will my obligation be to that force? How might this change my life? I sometimes forget that I have willing allies. The earth, the planets, my family, teachers, colleagues, mysterious ones, ancestors—they all are willing to be my collaborators in this task of embracing Joy. For this work, I know I need a prayer, a call to my helpers and teachers, because this shift may be hard. I know I will need guidance and encouragement. Let us call for a radical evolution of consciousness. Let us call for Joy. Uranus: ally of change. Moving into Aries, Uranus challenges us to embrace new beginnings and to be mindful of impulsivity. Saturn: ally of discipline. In Virgo until July 21, Saturn is encouraging us to work behind the scenes, to be of service, to pay attention to the details, and to insist on holistic solutions. When Saturn moves back into Libra after July 21, this planet becomes the ally that provides a firm counterbalance to impulsivity. 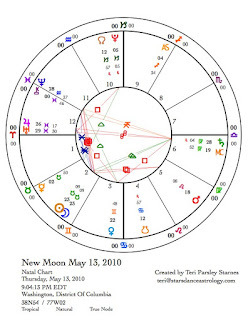 Saturn collaborates in new beginnings that include balance and beauty. Jupiter: ally of expansive belief. While in Pisces, ecstatic experiences open us to all collaborators, and to belief that we are all connected. In Aries, we are optimistic that we can begin anew. Joy is our birthright. The caution is to not settle for short-term solutions, quick fixes, or for what feels good now. Pluto: ally of absolute truth. With Pluto in Capricorn, we are invited to look at the shadows that underlie authority—our own and others’; to claim power; and to live in integrity with the consequences of being powerful. Chiron: ally of shamanic wisdom gained from wounds and heart openings. Through Chiron transits we gather medicine (I thank Adam Gainsburg for this metaphor for Chiron transits.) 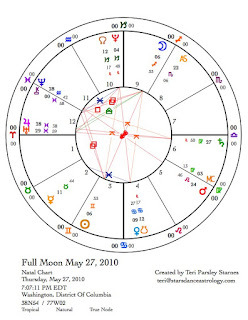 Chiron has just entered Pisces; it re-enters Aquarius on July 20; then returns to Pisces in February of 2011. Pisces medicine is gained through the experience of oneness, connection and compassion. Aquarius medicine is gained through the experience of isolation or the act of revolt. Neptune: ally of the collective consciousness. Neptune confronts us with the fine line between ecstasy and illusion. While in Aquarius, we are offered the wonders of group mind, communal identity, and networks. How are we escaping into useless fantasy and how are we evolving? The opposition between Uranus and Saturn with Jupiter just 3 degrees away from conjunction with Uranus is in force. Venus is squaring this opposition. Our relationships are impacted, but through relating we may find a way to synthesize both Uranus and Saturn. Mars has almost reached the degree of its retrograde station from December. 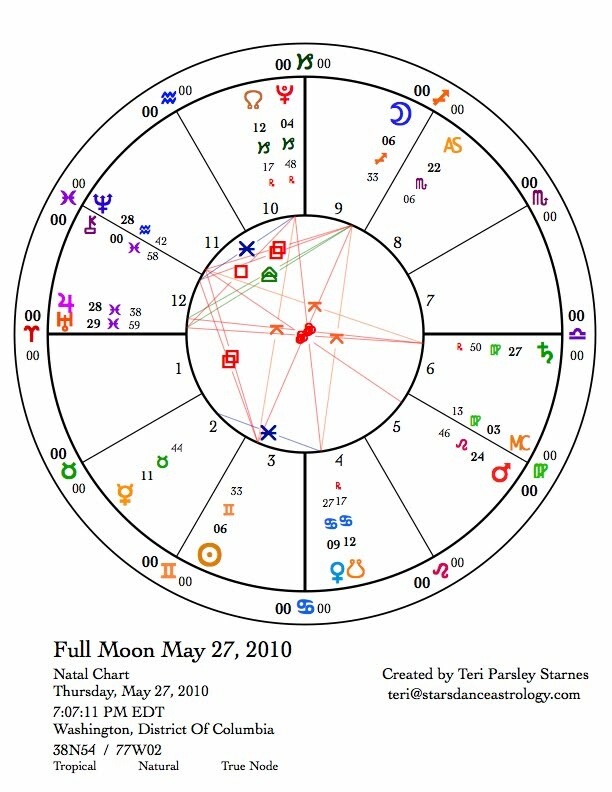 It is square to the Sun and Moon emphasizing the possible conflict between fixed earth— stability and sustenance and fixed fire—stewarding the life-force of Joy. Is one too conservative and cautious? Is the other too impulsive and light-hearted? Both signs are fixed. So even though it seems that earth naturally has more gravitas, and therefore more importance than fire, both are essential energies. How do we embrace them both? The opposition between Uranus and Saturn continues with Uranus on the cusp of moving into Aries. Jupiter is even closer to Uranus now. Energy is building. The signs of the Sun and Moon, Gemini and Sagittarius, focus on learning. There is an opportunity for new insight and expression. The Sun and Moon are square to Chiron in Pisces. What medicine do you gather? Who needs this wisdom? Mars has moved past its stationary degree and opposes Neptune. This aspect could encourage mystical experiences or escapism. Venus in Cancer opposes Pluto. Power and shadows influence our relationships. We can deepen what we are experiencing and look with honesty at relationship dynamics. I really appreciate your updates, Teri. I receive them by email, and shared the blog link for this one with others in my circle. 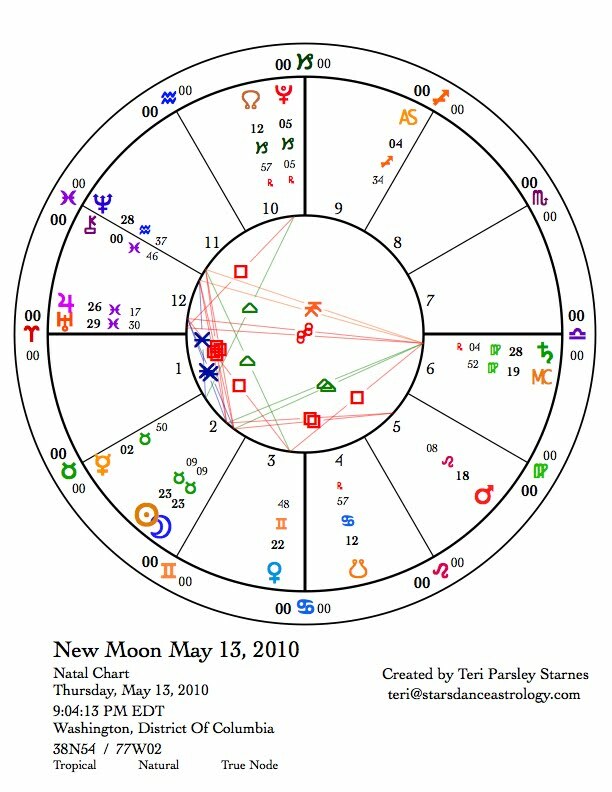 I *loved* your opening paragraphs on the Taurus new moon and what's happening in the Southern U.S. at the Gulf of Mexico. And I always appreciate those of us who ask (and love) good questions! "Reclaim & Express Your Feminine Mojo"